ROSSMOOR, Ca. 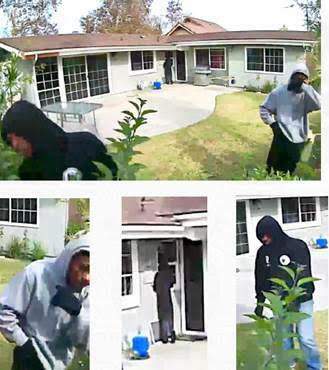 (Dec. 28, 2017) – Investigators with the Orange County Sheriff’s Department are looking to identify a three-man crew suspected of burglarizing multiple homes in recent weeks. 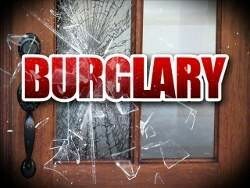 Three suspects caught on video Dec. 26 attempting to enter a home in the 2800 block of Tigertail Drive are believed to be connected to at least five burglaries in the unincorporated community of Rossmoor. From Dec. 10 through Dec. 26, the men are suspected of stealing electronics, cash and jewelry from victims’ homes. In addition, suspects matching the description of the men caught on surveillance video were reported testing front doors of some homes and, in at least one case, entering a residence while the homeowners were there. One of the suspects entered the home multiple times claiming to be lost. Anyone with information is encouraged to contact the Orange County Sheriff’s Department at 714-647-7064. Anonymous tips may also be submitted to Orange County Crime Stoppers at 855-TIP-OCCS. The Orange County Sheriff’s Department would also like to remind residents to always lock their homes and vehicles and, if you see something suspicious, to immediately report it to the Sheriff’s Department.